Last week I had the most unexpected and fabulous lunch at Inamo St. James. I had been invited out to lunch by a prestigious outfit here in London (more on that later). They told me we were going for Asian fusion and I pictured a meal like many I had had before. These places usually try to be new and creative but fall flat on their faces as a result. Well, that is certainly not the case with Inamo. Before the food even touched my plate I was sold on this place. 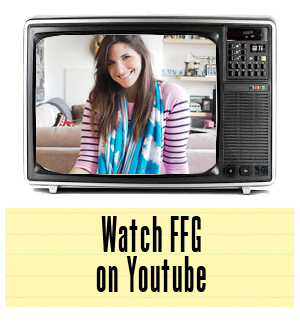 I'm obviously a digital person (look at what I do for a living). I'm seduced by Google, Twitter, Instagram, and so on and so forth. 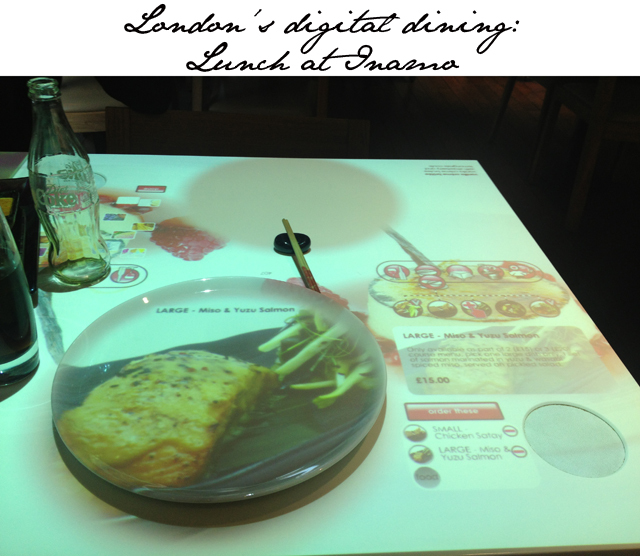 So you can imagine that when I sat down and found that Inamo was a completely digital experience, I was over the moon. In fact, I had a little bit of trouble concentrating on anything else as I was trying this or that on the table. 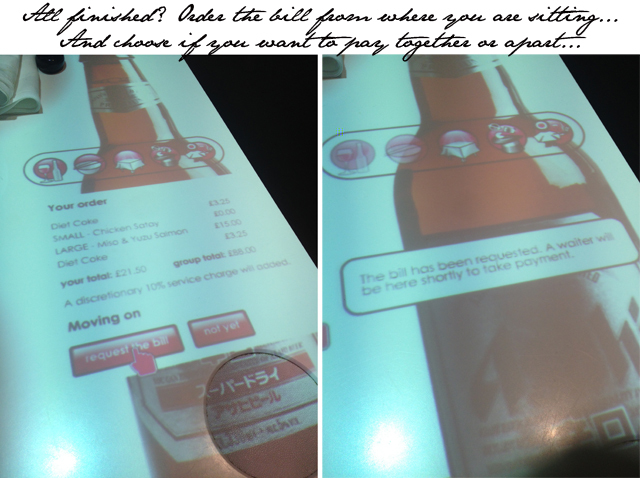 Inamo has created a new dining experience where you are completely in control of everything from your seat. You are sort of the driver in your dining experience. From ordering your first drink, and reordering, to placing orders for first and second courses, the touch panel allows you to order whenever and however you like. But the fun doesn't stop there. Having trouble deciding what you want? Project an image of every possible dish onto your plate to see what looks good. Have you placed your order and are wondering what's taking so long? 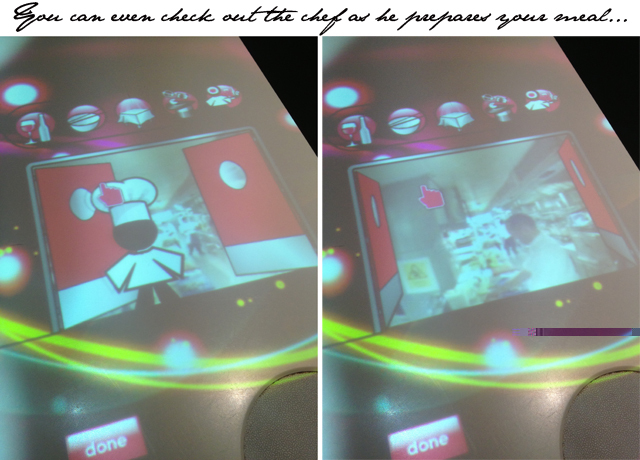 Check the chef-cam to make sure your chef isn't slacking on the job. Inamo have even given you entertainment should you find yourself attending the restaurant on a bad date. 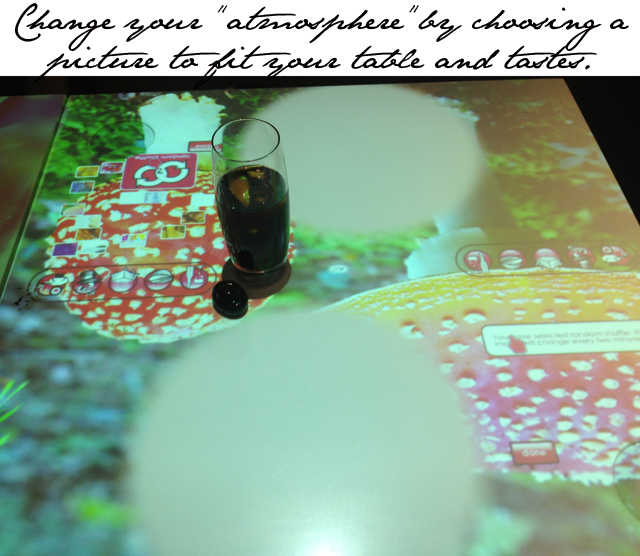 You can change the background on your table to reflect your mood. You can even play games. I imagine this would be the ultimate insult mid-meal. However, it's great for kids coming to the table with you. Now a quick word about the food. I'm a terrible cynic when it comes to these things. I always figure if you have so much going on outside the kitchen it usually means what comes out from the chef's arena isn't much to write home about. Inamo most definitely proved me wrong on this theory. For a two course meal, which only cost £15 in total, I was practically licking my plate. And just to really wrap things up. 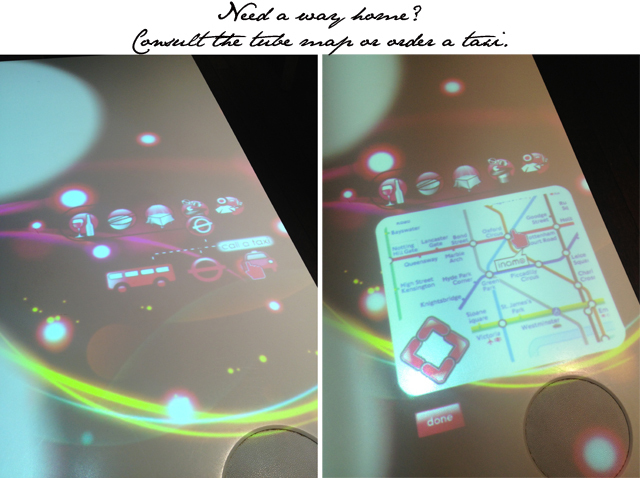 After ordering your bill from the table, you can then consult a tube map or order a taxi to your next destination. They really have thought about nearly everything, haven't they? Inamo is definitely a place I'd recommend for good food and an environment that is truly never boring.